Shir Tikvah began as an idea. What would happen if a small group of Jewish families in Winchester, including interfaith ones, decided to organize a few Friday night Shabbat potlucks. It would be casual; it would be fun for their kids. Light the candles, sing some songs, eat, socialize. Maybe even plan a Hanukkah party. It was 1970. They'd see how it went. Quite well, in fact. Through word of mouth, the group grew, and in 1984, thirty-three families took a giant leap and voted to form a temple, later to be named Temple Shir Tikvah—Song of Hope. Once official, members got down to business and formed committees—ten. Within a year, they'd set up a religious school, taught themselves how to lead services, formed a finance committee and softball team. Eventually they decided to search for a part-time rabbi to partner with, which led to the hiring of Cathy Felix, one of the earliest group of women ordained as a rabbi in the United States. Over the next ten years, the community grew, working through the challenges of being a roving congregation. 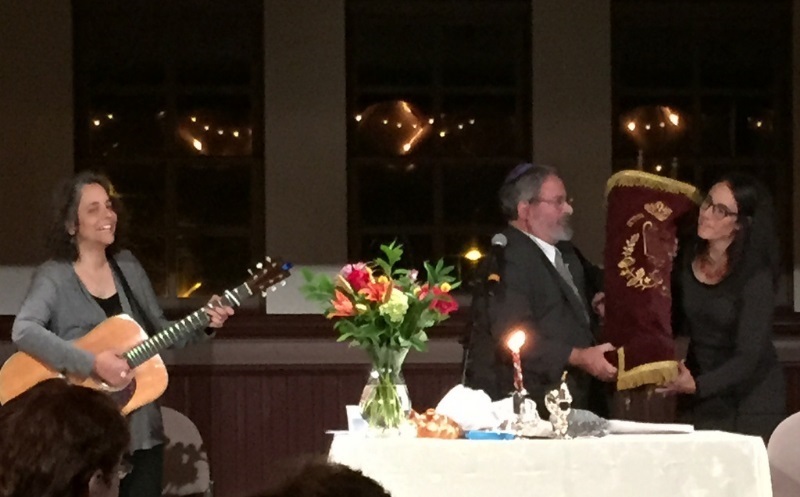 David Kudan became our second rabbi, and it was not unremarkable to see him pushing a portable ark from his car through the streets of Arlington or Winchester on his way to a senior center or municipal building to lead Friday night services. His deep roots in education and rabbinic scholarship helped deepen our Jewish life, and his presence as a steady and thoughtful influence came in good stead as we faced our next significant milestone. 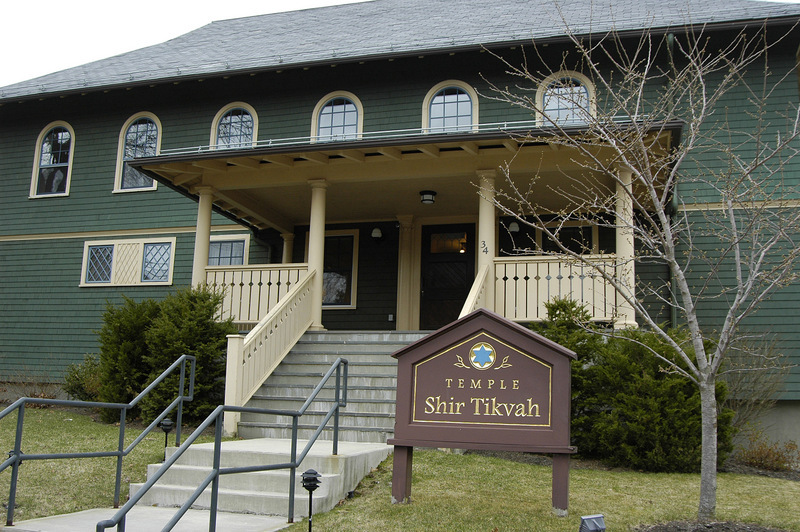 In 1992, Temple Judea, a small conservative synagogue in Stoneham, and Temple Shir Tikvah merged—a strong but dwindling congregation joining forces with a rapidly expanding and youthful Reform community—both with a vision of securing the future. By 1997, the community was ready to welcome its third rabbi, Richard Isaac Meirowitz, affectionately known to all as "Rim." Rabbi Rim came of age in the havurah movement of the early 1970s—an innovative, grassroots, and egalitarian movement within Judaism. His values were in sync with the community's values of full inclusion of interfaith families and the willingness to meet members wherever they were on their Jewish journey. He also came with the organizational and fundraising experience that were very much needed in the coming months and years. We also welcomed Beth Levin as our cantor, family educator, spiritual leader, and so much more. With Rabbi Rim, our membership swelled. Shir Tikvah was ready to fulfill its dream of a permanent home. Starting with a nest egg from Temple Judea’s endowment and funds from the sale of its Stoneham building, we were able to raise the additional money. Members and friends were enthusiastic and generous. In 1998, we purchased a property on 34 Vine Street in Winchester, which at the time was an apartment building—complete with attic hot tub. Naturally, we formed a few committees. The building was gutted and completely renovated, a porch overlooking Wedge Pond added, and a beautiful garden planted. Two years later, it was ready. In the fall of 2000, members of all ages filled the streets of Winchester, led by a group of klezmer musicians. The three Torahs in our arms were from Temple Judea, a legacy of the congregation that had entrusted them to us seven years before. We danced in the streets with our children, dedicated our building, placed the old Torahs in their new ark, and celebrated. We were home. Temple Shir Tikvah has thrived. Since moving into our building, we have grown from 70 families to over 340. Our religious school is filled with children, our programming has flourished, and our membership is more diverse than ever. After seventeen years as our teacher, friend, and spiritual leader, Rabbi Rim retired and became our rabbi emeritus. We were ready to start the next chapter and search for our fourth rabbi. And we found her. Carolyn Bricklin-Small, aka Rabbi Cari, joined the Shir Tikvah community in July 2014 after a year-long search based on the input from our members about the values, skills, and personal qualities we wanted in our new rabbi. Not surprisingly, they were the same as they had always been: a wise and compassionate teacher, a nonjudgmental leader who could help us open new spiritual doors, and a partner and friend with whom we could navigate our Jewish journeys together.